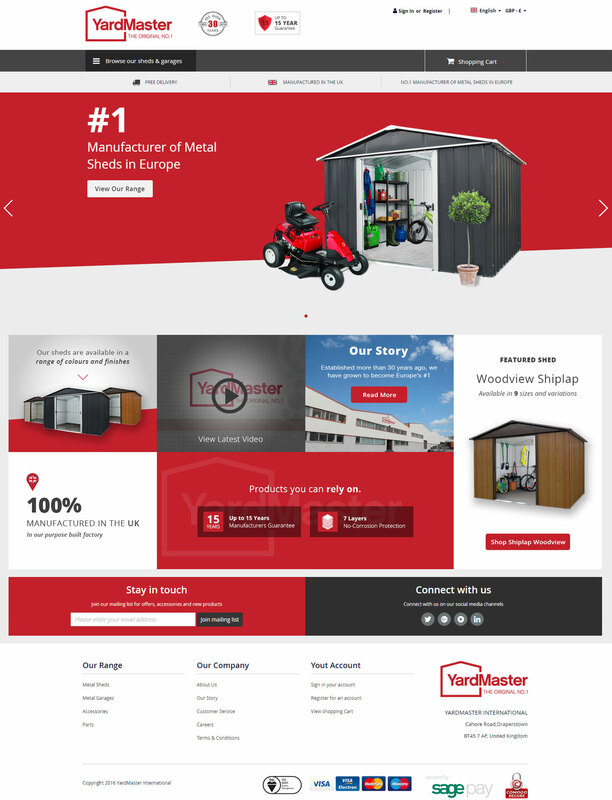 Established in Northern Ireland in the 1980s, YardMaster are the #1 manufacturer of Metal Sheds in the UK and Europe. They approached us to create them a feature-rich, multi-lingual, multi-currency ecommerce website which will be marketed into a growing number of European countries. The website is built on the Magento 2 platform.